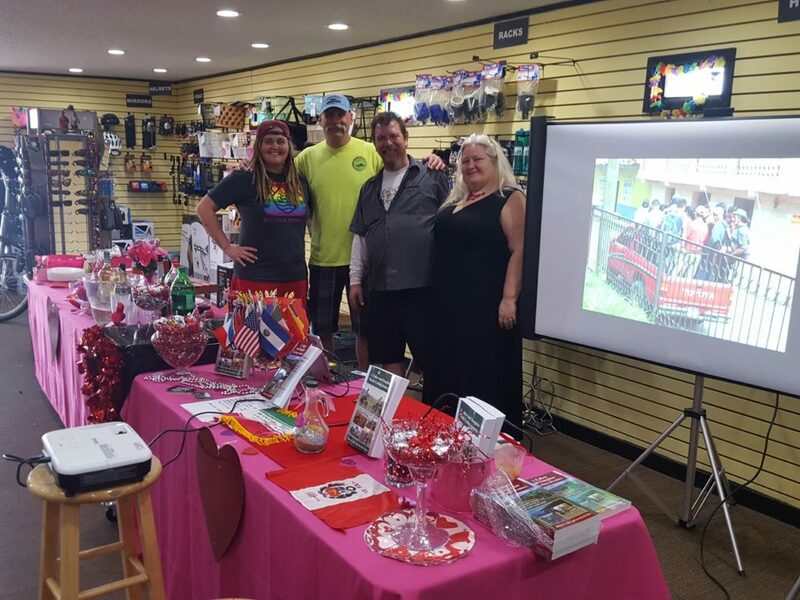 We had our first book signing at Matt’s Bicycle Center in Cocoa Beach, Florida. We sold lots of books with many people buying both the one we published in 2013 and the latest. Matt has kept our wheels rolling throughout the years. 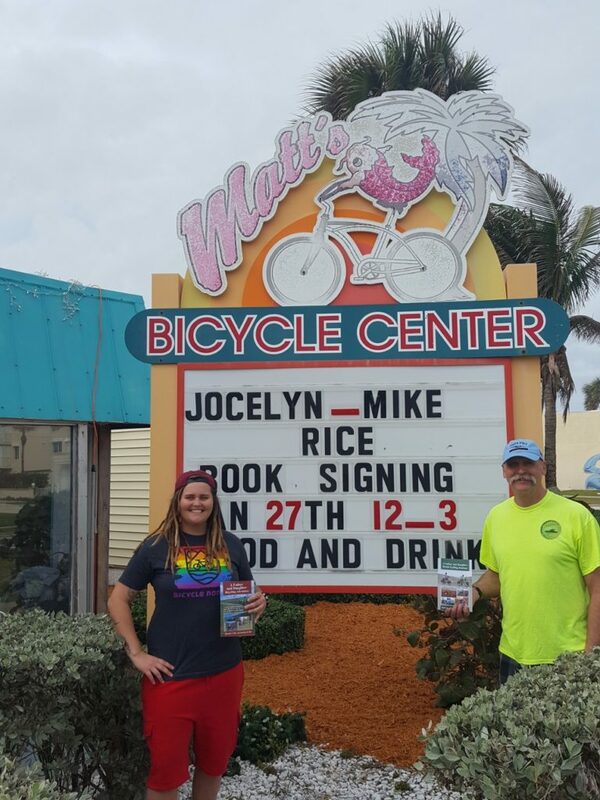 Outside of Matt’s Bicycle Center in Cocoa Beach with both of our world journey books. Zoey set up quite a spread for customers during the book signing. We ran a slideshow of our trip. Thank you Matt and Zoey. NEW RELEASE – AVAILABLE NOW! 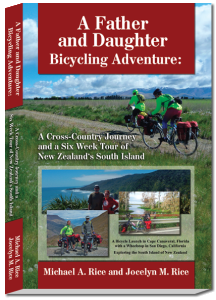 Follow this father and daughter team of Mike and Jocelyn as they return to their bicycles for an awe-inspiring world adventure after their journey across the U.S. and New Zealand as written in their first adventure book published in 2013. In pursuit of this, they begin their most challenging ride yet from Marrakesh, Morocco to Bangkok, Thailand. North Africa, Europe, Central Asia, China, and Southeast Asia are traversed as they continue to explore this amazing world along with its diversity of people and cultures. After this enlightening ride, they continue from Washington State at the Canadian border and work their way south down the West Coast of the U.S., Mexico, Central America, and South America. Upon reaching Puerto Montt, Chile, they concede that the Southern Chile winter weather will prevent their progress further south. Next on their list is heading east across Canada to Nova Scotia, then south along the East Coast of the U.S., and then home to Cape Canaveral, Florida. They arrive home in December of 2016 from a world trip consisting of 37 countries, five continents, and over 28,000 miles. 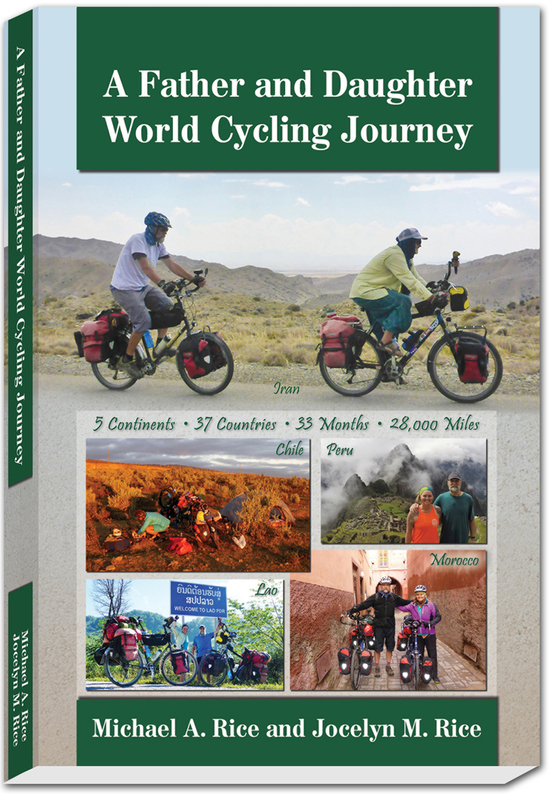 Mike and Jocelyn envisioned this travel by bicycle not so much as a cycling exercise but rather as a means to get to out-of-the-way places, to dig deeply into a country’s cultures, and to meet locals in a way that normal tourists rarely do. If you buy a new print edition of this book (or purchased one in the past), you can buy the Kindle edition for FREE. Print edition purchase must be sold by Amazon.